We know how important it is to have access to communication wherever you go. Working with our PODD users and speech pathologists, we have created the PODD Strap which allows you to take your PODD with you everywhere. We have made sure the PODD strap is lightweight but heavy duty, and adjustable so it can hold the PODD at a convenient height by the PODD user, or their communication partner. 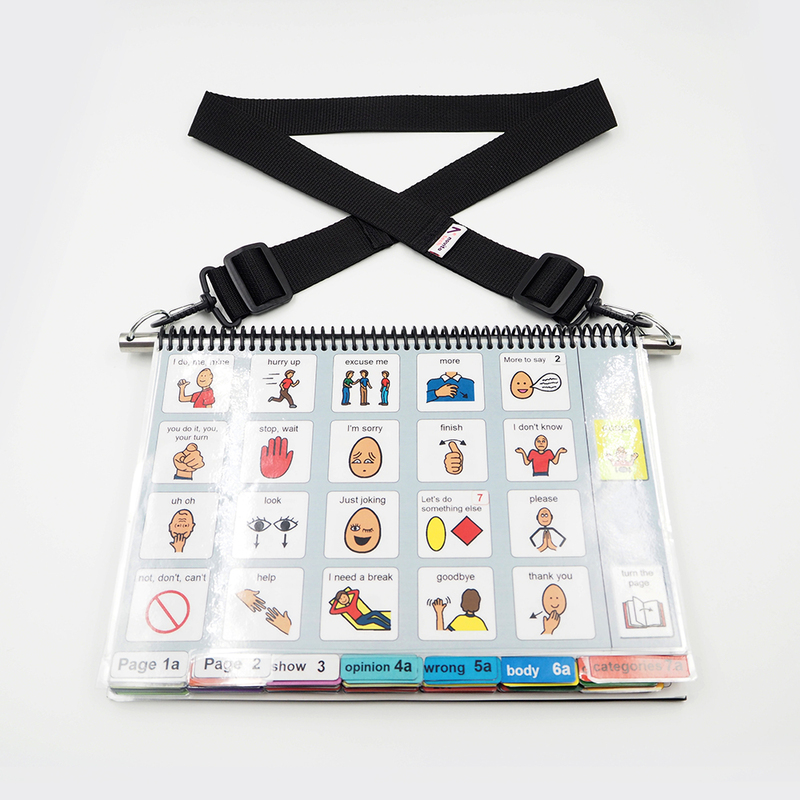 This product is fantastic for teachers in a classroom who may be attending to multiple students, allowing them to remain hands-free while moving between students. Parents or carers will find this strap useful when on the go, making sure the PODD is always at hand, and being on a strap means it is one less thing to have to fit into a bag! Therapists may also find this useful when working within a group of PODD users. Partner the PODD Strap with our PODD Cover with Stand for ultimate versatility. This item meets the NDIS definition of “Level 1” (basic – low cost, low risk). 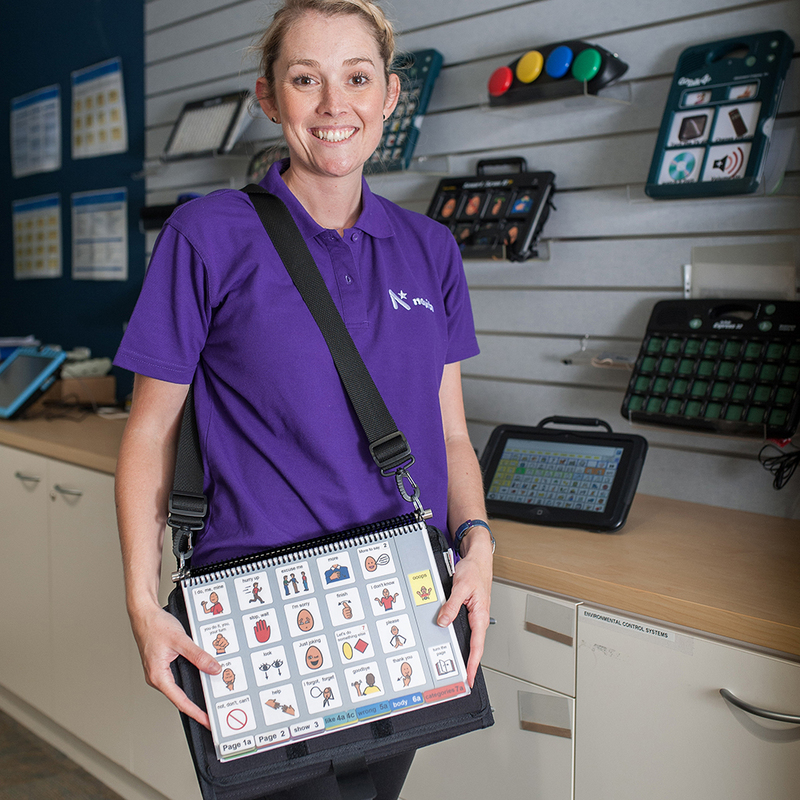 If your NDIS planner has included funding for low cost and low risk assistive technology in the CORE Supports section of your plan, you may be able to purchase this item using this funding from your plan. The PODD strap is a carrying device only and should not be worn over or around the neck. PODD not included. Do not submerge in any fluids. Not waterproof. Wipe off any fluids immediately with a soft cloth. Not recommended for use with any product or device other than a coil bound PODD.